The plot in this western is simple, as most western plots are. 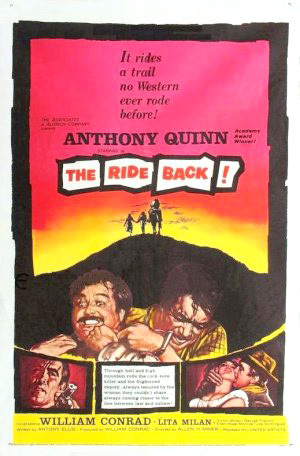 A deputy sheriff (William Conrad) travels to Mexico to bring back to his home county a fugitive (Anthony Quinn) wanted for shooting two men to death. After that, things get complicated. This isn’t the usual western, with plenty of gunfire and action. There is, in fact, little action as such. This is more of a character study, even a psychological drama. But then, many of the good westerns are. The story seems straightforward at first, but as it progresses, the viewer learns more about the main characters, what drives them and what haunts them. 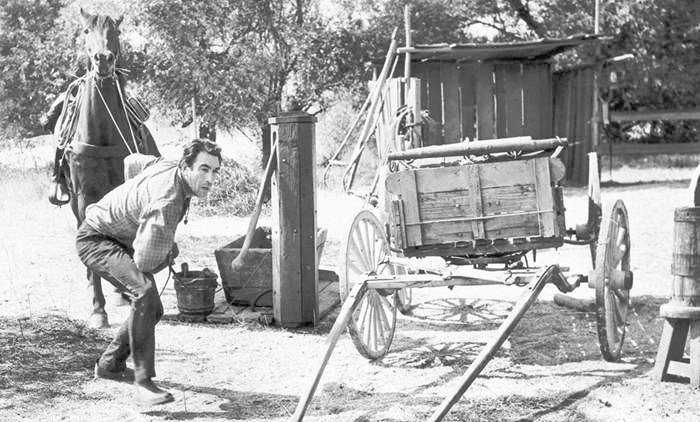 The Ride Back is propelled by its acting and its script. 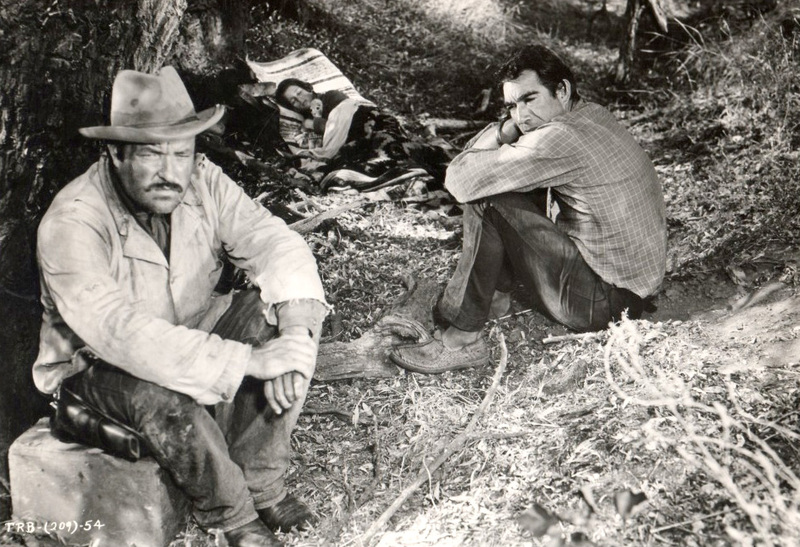 William Conrad was the original Matt Dillon, when Gunsmoke was a radio drama. His deep, sometimes fearsome voice was made for radio and he was a star in that medium. He also provided the narration for the hit tv series The Fugitive, before having his own success in Cannon and Jake and the Fatman. In movies, he often played villains or shady characters (check out his very cynical corrupt cop in The Racket). His acting in The Ride Back is self-assured, and he has no problem showing his character as a basically decent but flawed man, greatly hurt by life. Quinn’s character is closer to others that he has played, ebullient, full of life, somewhat derisive of others but nonetheless sensitive and sympathetic. 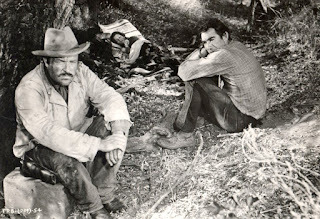 The script for The Ride Back was adapted from what I believe was an unused Gunsmoke story, but the lawman Conrad portrays is miles away from the confident, intimidating Marshal Dillon, and the latter would not exhibit the weaknesses that are mirrored so well by Quinn’s strengths. This is the tale of two opposites, and how, even if they don’t come to respect each other overly much, come to understand one another. 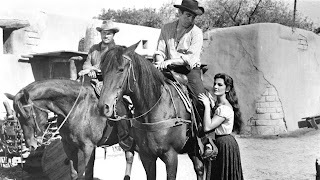 I really wasn’t sure how the movie was going to end, which is unusual in any film, let alone a western, and if the finale is a little weak, it is nevertheless very much in keeping with the characters’ behaviour throughout the story. The writing (by Anthony Ellis) is sparse. One reviewer noted that only six characters have lines. I counted eight, but that includes a boy whose only words are “bang, bang!” and a woman who is heard but never seen. 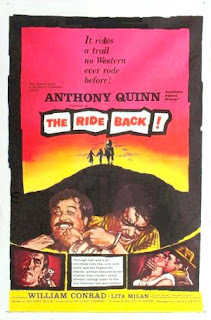 The Ride Back is essentially a two-man story, impressive enough for Quinn to have starred in this low-budget production the year after his Oscar-winning role in the critically-acclaimed and popular Lust for Life. The direction is deliberate, and the pace, frankly, slow. The action is in the dialogue and the relationship, not in the barrel of a gun. While I like the flamboyant direction of a spaghetti-western, I also like the deliberate work of a good emotional and mental showdown. The Ride Back won’t appeal to everyone, but I enjoyed the work of two actors at the top of their form. 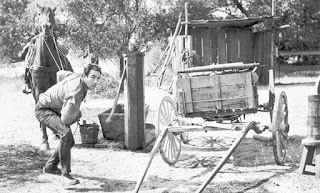 Though I've seen most of the James Stewart/Anthony Mann and Randolph Scott/Budd Boetticher films, I may review some of them anyway. I liked those ones, especially Scott. A western usually makes for dependable fun on movie-night. I saw this on TV ages ago, and thought it was quite good. I have a fondness for that odd genre, the "Character Study Western." And William Conrad! He's one of those actors I haven't thought about in years, but I've always liked him. The Eddie Albert song makes me want to chop my ears off, though. I was going to mention the Albert song, the one really terrible aspect of the film. 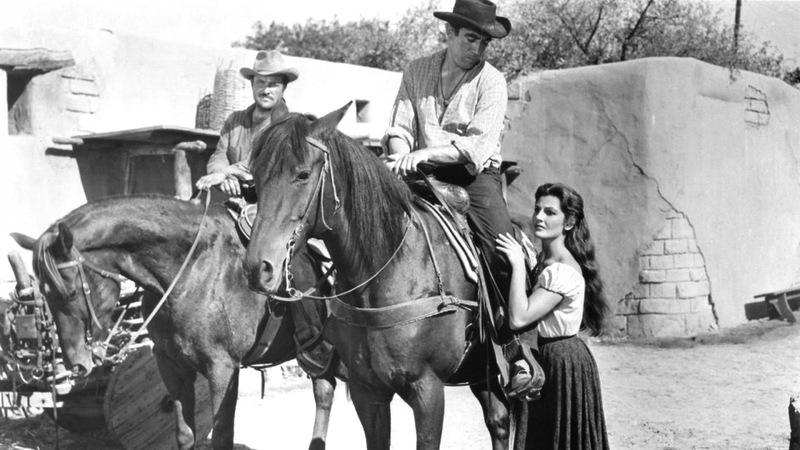 Westerns of this era seemed to go in for the story-telling theme song (eg. 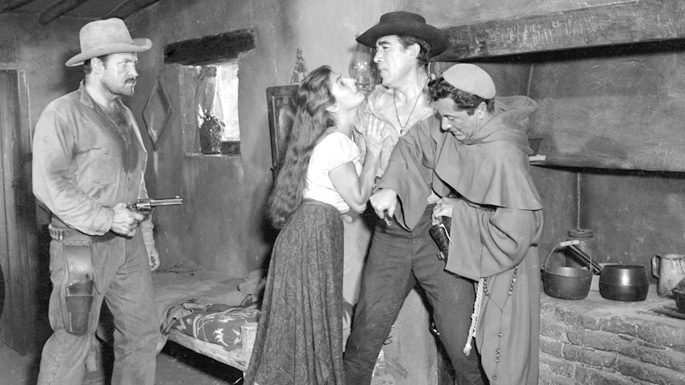 "High Noon", "Seven Men from Now"). I think Albert's song may have been the tradition's death knell.